Yummy New Year! The much anticipated Dine Out Vancouver will take place from Jan 18 to Feb 3. 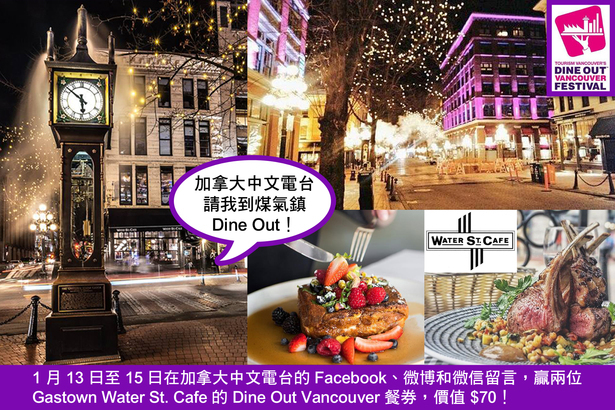 Fairchild Radio is giving away a Dine Out Vancouver Dining Coupon for two at Gastown's Water St. Cafe, valued at $70*! Leave a comment on our Facebook, Weibo or WeChat for a chance to win this delicious prize!